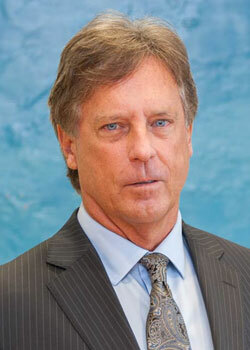 Dr. “Chip” Valente is one of the founding partners of Southwest Florida Pain Center. Now in practice for more than thirty years, Dr. Valente’s postgraduate training began in 1982 when he completed an internship in General Surgery at New York Infirmary-Beekman Downtown Hospital. Following his intern year, he began his specialized residency in Anesthesiology at New York Medical College in Valhalla, New York with successful completion in 1986. His practice of Anesthesiology in Charlotte County at Fawcett Memorial Hospital was notable for his term as a distinguished Chairperson of the Department of Anesthesiology as well as his participation in the establishment of improved inpatient treatment of pain and the use of specially trained nurses to assist in the management of pain in patients admitted to the hospital. These advancements were fundamental to the progress of pain treatment in Charlotte County. Over the years, Dr. Valente’s practice fully transitioned from the hospital operating room to the exclusive practice of outpatient pain management. Dr. Valente is a well-known and respected member of the Charlotte County medical community. He is a participating member of multiple professional organizations dedicated to the advancement of the field of interventional pain management including the American Society of Interventional Pain Physicians, The Florida Society of Pain Physicians, and the Spine Intervention Society. For more than twenty years, he has been a diplomat of the American Academy of Pain Management now known as the Academy of Integrative Pain Management reflecting the importance of a multimodal, multidisciplinary approach to treating pain. Dr. Valente has passionately served the Southwest Florida community with care and compassion for more than thirty years.